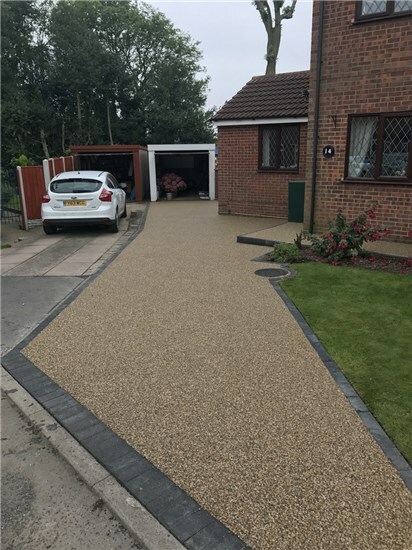 Why use a Permeable Surface for my Drive? 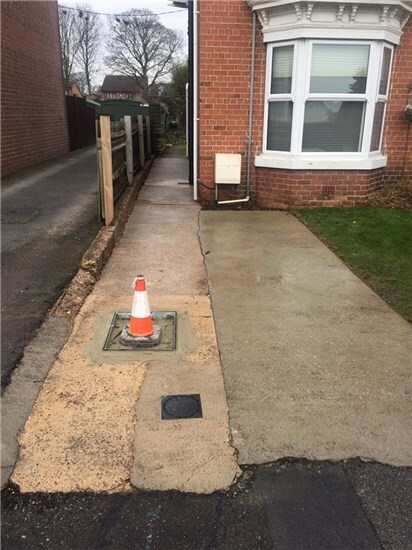 There have been recent changes made to planning permission law, and in particular, new legislation has been introduced to reduce the amount of surface run off water and the risk of floods in settlements across the UK. 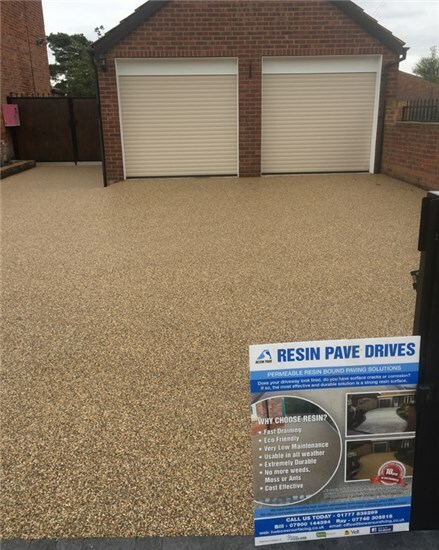 Beginning in 2008, if a new driveway project or front paved area uses a permeable surfacing system such as resin bound gravel you will not require planning permission. 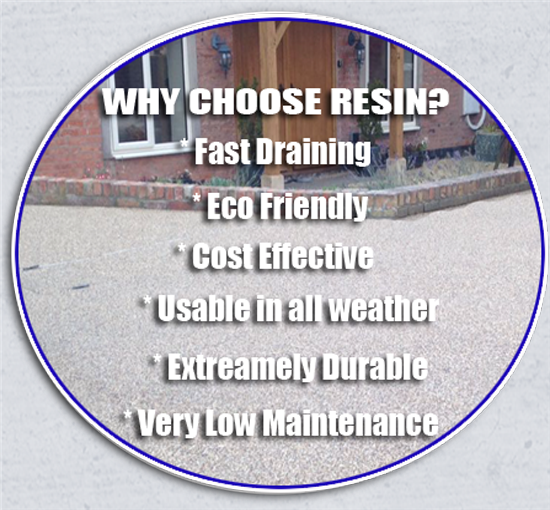 Resin style paving avoids not only the need for planning permission, but also the need for additional drainage systems. 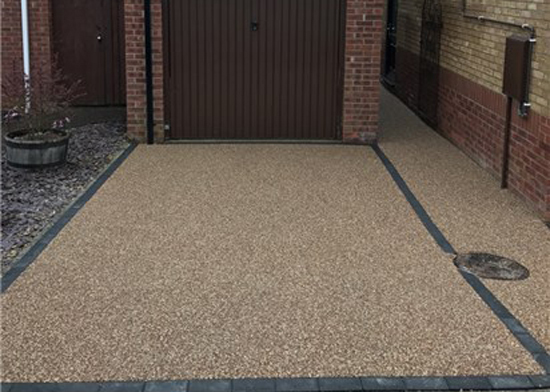 A new driveway can look beautiful with so many colours and options to choose from. 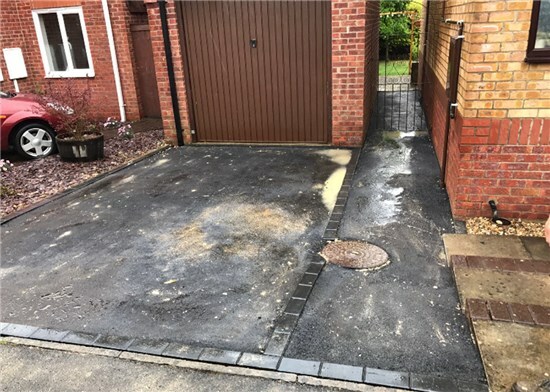 We provide a full maintenance and repairing service for your driveway as we believe that your driveway should always be in the best condition possible. 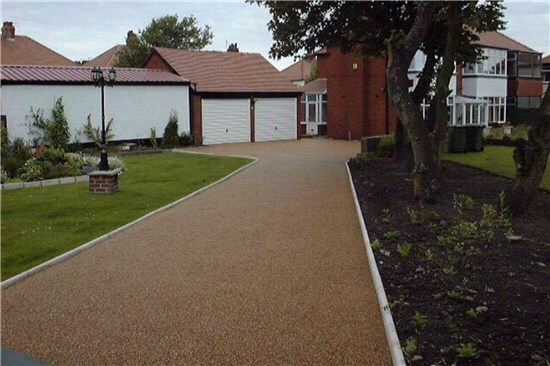 This is because it is the main focal point of the front of your home which brings life and colour straight away. 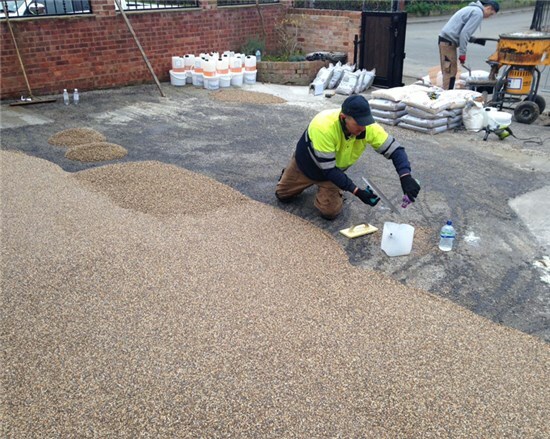 Tarmac base - swept dirt and debris off, cleaned in preparation for the Resin Bound Surface to be applied. 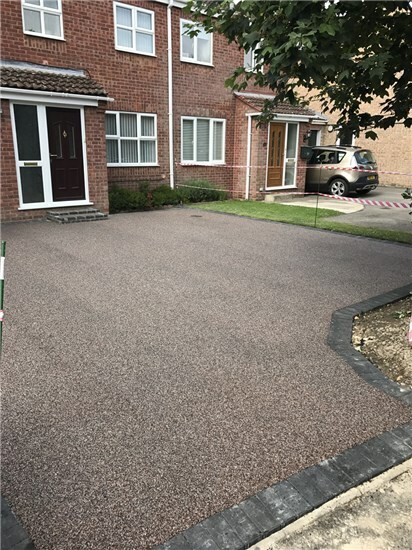 Here's what a finished resin paved driveway looks like. 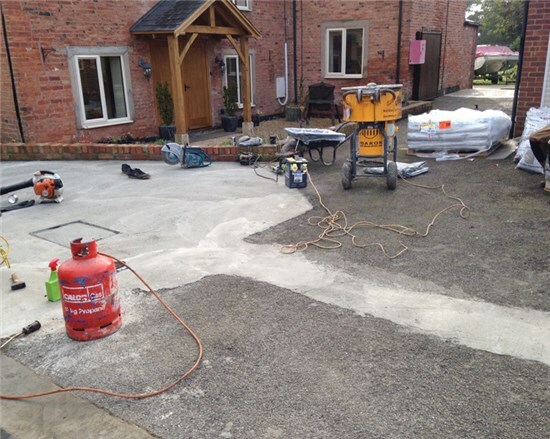 Note that the classy, dark-grey edgings that give it an extra boost of aesthetic appeal are still in tact by the end of the process. 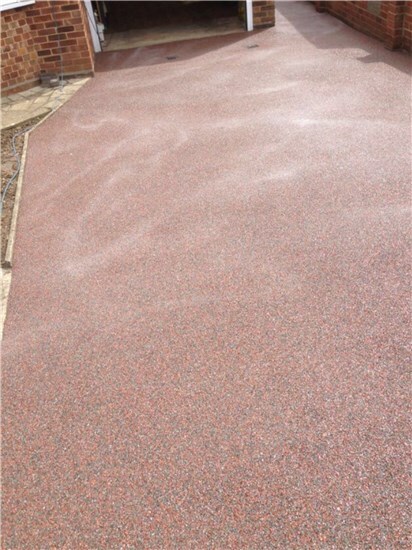 This type of paving is made from a mixture of shingle, quartz or crushed granite. 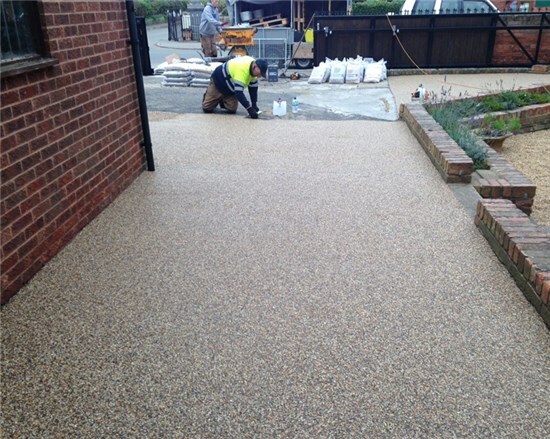 The elements are pushed through a mix process to ensure that each grain is coated with a clear UV stable polymer resin. 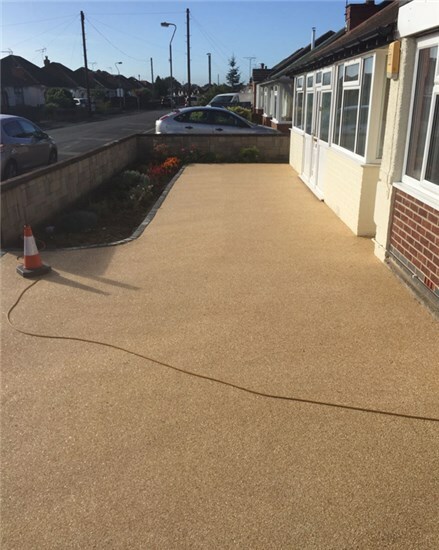 However, resin bound surfaces allow water to drain through, acting as a sieve and allowing the water to flow naturally into the water table. 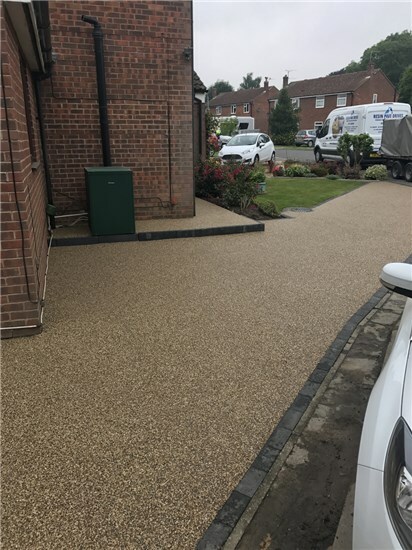 A permeable resin bound driveway enables water to drain away to the water table, not allowing surface run-off and ensuring the sustainability to the surrounding planted areas. 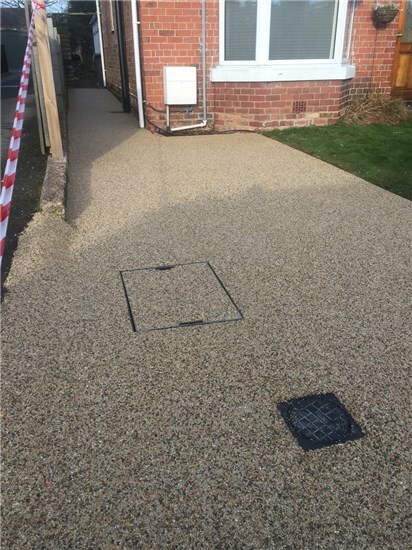 Installation times are greatly reduced when compared with block paving and other driveway installations. 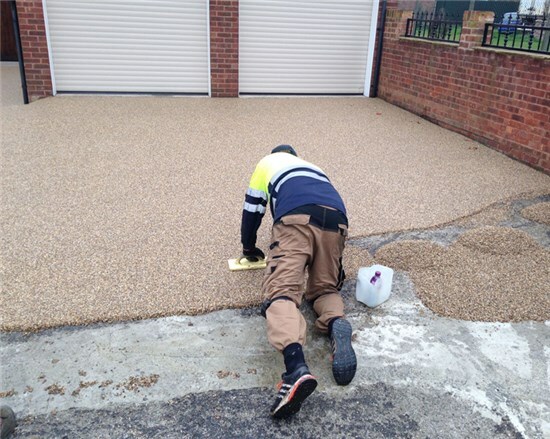 Resin Bound surfaces can be applied in various shapes, large or small areas. 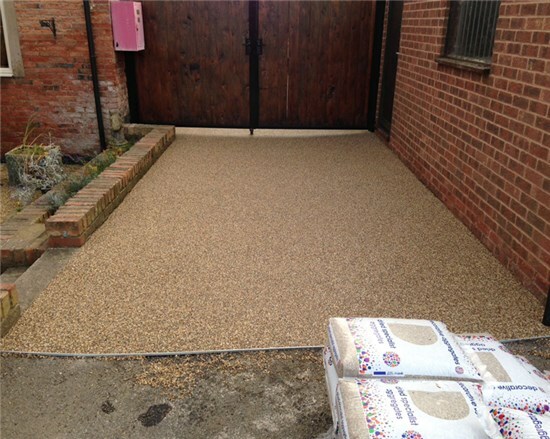 The aggregate is available in a wide variety of shapes and colours.